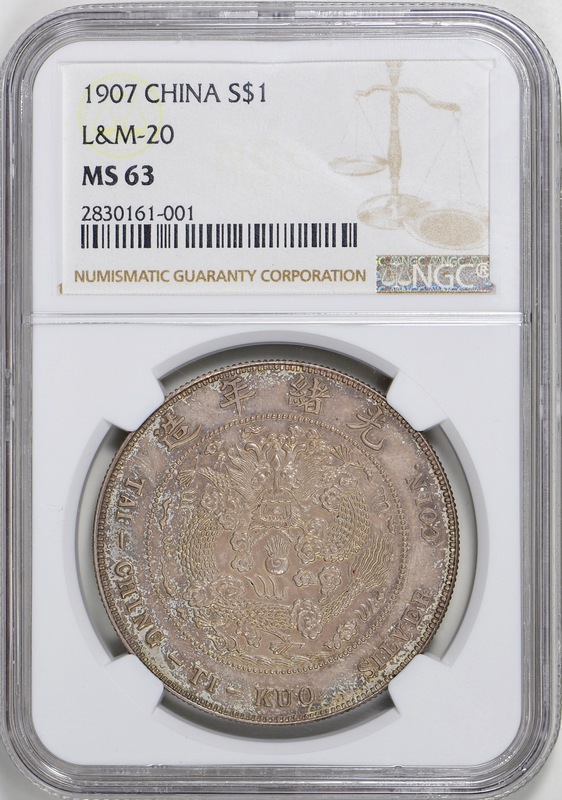 China CD (1907) Silver Pattern Dollar L&M-20 NGC MS-63 (Toned)。K-20; KM-212; WS-0025.A lovely envelope toned example of the Ting Wei Pattern Dollar. Distinctive for its interlocking wave border on the reverse this rare type is always in demand for collectors of the late Qing. Lustrous surfaces present under light lavender and golden orange hues. From the Cherrywood Collection.